TLX is recognized by critics and consumers for its opulent combination of premium features and fine cabin materials, as well as its top-notch fit and finish. The Car Connection's 2016 Acura TLX review also adds that it's a favorite among luxury sports sedans due to its great mix of enjoyable performance and practicality. With room for up to five passengers and a convenient 60/40-split-folding rear-seat design, TLX is a great everyday car, yet it stands apart from other midsize sedans by offering an exceptional driving experience. 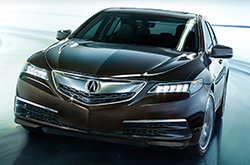 If you're shopping for a 2016 Acura TLX in the Phoenix area, it's worth the trip to Acura of Peoria, where you'll find great deals on the entire lineup, which includes TLX, TLX Technology and TLX Advance trim levels. Two engine options are available, a 2.4-liter four-cylinder that produces 206 horsepower and a 3.5-liter V6 capable of generating 290 horsepower. The four-cylinder comes paired with an eight-speed automated dual-clutch manual transmission and front-wheel drive, while V6 engines are mated to a nine-speed automatic transmission and can be had with either FWD or AWD. Created with a "Red Carpet Athlete" theme in mind, TLX offers both great performance chops and the luxury personality that Acura shoppers have come to love. Luxury is not only clearly seen in the design and materials used throughout the cabin, but also on the equipment list. The 2016 Acura TLX in Peoria comes standard with LED headlights and brake lights, heated front seats, two large touchscreen displays, a sunroof and other notable amenities. Above the base model, Technology trims add lane departure warning, rear cross-traffic alert and navigation, among several other amenities. At the apex of the trim line, the TLX Advance expands the equipment list further with additional safety tech systems, LED foglights, front and rear parking sensors, and 18-inch wheels. 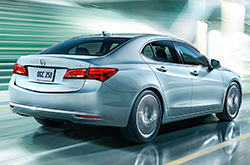 After you've finished our 2016 Acura TLX review, stop by our dealership for a test drive! Acura of Peoria has one of the largest selections of 2016 TLX sedans in the Phoenix metro area, with several attractive colors for you to choose from, including Crystal Black Pearl, Slate Silver Metallic, Basque Red Pearl and many more! 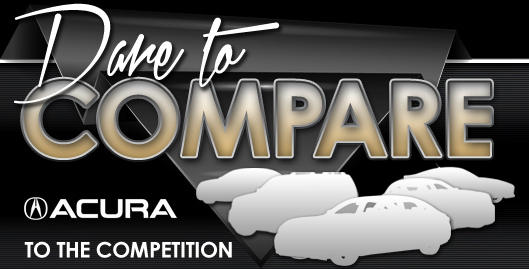 When you compare Acura's latest TLX model against the 2016 Lincoln MKS, Mercedes-Benz E-Class and the Volvo S80, you'll find that it scores higher than the competition. If the TLX's bargain price and leading-edge incar technologies don't persuade you that it's the perfect vehicle for your needs, we're sure its handsome exterior design will seal the deal. 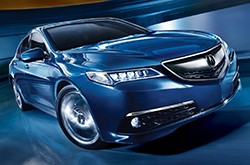 Compare its price against the vehicle options listed above and you'll clearly see that it's a remarkable value, which makes it a well-liked choice for many Peoria Acura customers. Find even more information about what it offers; see our quick-facts list for the TLX - bullets underneath this text. Can the competition beat the Acura? Thank you for reading Acura of Peoria's 2016 TLX review! It's difficult to find hard facts about a large array of cars in one spot. That's why it's OUR obligation to offer reviews from experienced auto critics, so you have access to these vehicle specs on one site. Information you can depend on to make sound decisions is right here - each paragraph is stuffed with accessible information and specs. Now that you've read through Acura of Peoria's TLX review, please phone us to schedule time for a test drive or learn about lease offers and OEM specials.